Whether it’s your first time in the Seattle area or you are a long time devotee of our area wineries, Seattle Limo Service Inc. can ensure that you have stylish and safe transportation to your local winery tour. This region is renowned for its excellent vintners and innovative wines. Located just outside metropolitan Seattle, Woodinville Wine Country is home to large and small wineries and tasting rooms. More than fifty member wineries and more than eighty wineries total are available in the immediate Woodinville area, ranging from boutique wineries with dedicated international niche followings to a world-class large scale winery. Whatever your taste, you can find it in the Woodinville winery collection. Whether you are planning an intimate date with your sweetheart and want a classy town car to take to your day of exploring or are organizing a large party with your friends and want a stretch limo, we can help you arrange a day to remember. Not only will chauffeur service put the polish on a day to remember, but you will know you’re traveling safely without having to have awkward discussions about designated drivers or worrying about a DUI. Whatever your pleasure, our transportation specialists are standing by to help you organize an event to remember. Once your car arrives, you can sit back and enjoy a short ride from Seattle to the winery region. Woodinville is located 17 miles from downtown Seattle, 30 miles from Seattle International Airport, and 15 minutes from the Bellevue area. During your drive which will take you out into the country, enjoy the company and the pastoral views of the area. If you want to partake of other activities while you’re in the area, you can walk along the scenic Sammamish River Trail, take a hot balloon ride, have lunch at the stunning high-end Willows Lodge, rent a bike, or go horseback riding. Your wine tour can take you from Woodinville’s Warehouse District to country wineries scattered around the surrounding valley. A number of award winning wineries are included among the options, with wineries noted for blends ranging from Syrahs to Reislings to Chardonnays. This area is truly the heart of Western Washington’s winemaking community. Be sure to call your target wineries beforehand, and confirm their tasting room hours. Some of the smaller wineries are open by appointment only. When crafting your itinerary, try to select a number of wineries in the immediate area or spread them out as your heart desires. If you want to provide us with a list of the wineries you plan to visit along with the hours you have appointments booked, we’ll be happy to provide this to your driver to make your day stress free and flow easily from visit to visit. 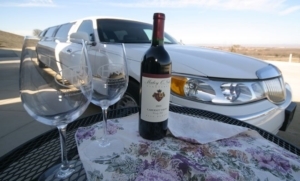 So whether your plans include a romantic getaway with a spouse, a weekend girls day, a novel idea for bonding with your family, or even a luxurious personal escape, call us today and let us provide you with safe, stylish transportation to make your wine tasting experience the memory of a lifetime.